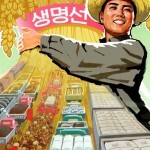 According to the Daily NK, the poster on the left states, “Let’s have a bumper crop this spring!”, and poster on the right shows people heading for the fields alongside trucks of fertilizer and rolls of vinyl plastic, and proclaims on the big sheaf of wheat that farming is the people’s “lifeline”. 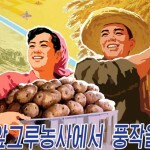 A poster titled “Bring about a Great Innovation in Agricultural Production This Year!” (right) depicts an agricultural worker determined to bring a rich harvest, helpers rushing to a socialist cooperative field and vehicles carrying farm materials, etc. 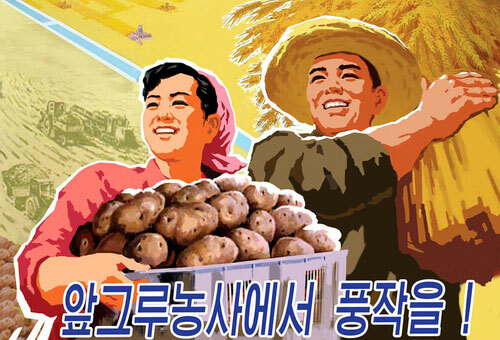 It makes a successful ideological and artistic representation of the firm will of the Korean people to thoroughly implement the WPK′s policy of agricultural revolution. 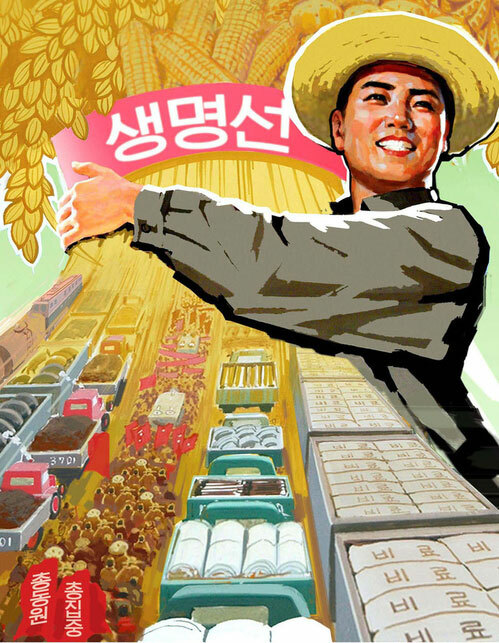 A poster entitled “Bring about a Rich Harvest of First Crop!” (left) calls for attaining the target of grain production without fail. It encourages the agricultural workers in their drive to achieve signal successes in the immediate spring farm work. This entry was posted on Thursday, March 24th, 2011 at 10:16 am and is filed under Uncategorized. You can follow any responses to this entry through the RSS 2.0 feed. Both comments and pings are currently closed. Is it just me or does the man in the left-hand picture resemble President Obama?